The media and entertainment sector in the GCC received a huge boost when Saudi Arabia opened its doors to its movie theatres after a hiatus of 35 years. Cashing on the development, Majid Al Futtaim announced the opening of 600 new VOX Cinemas screens across the kingdom. Founded 18 years ago, VOX Cinemas, operated by the UAE-based Majid Al Futtaim Group, currently runs 129 screens across the UAE, Oman, Lebanon, and Egypt. In one of its much-awaited upcoming developments in Dubai, Nakheel signed up with the cinema giant to open the cinema experience on Palm Jumeirah, one of the firsts on the man-made island. The cinema will be housed inside Nakheel Mall, the AED1.2bn, 42ha retail, dining, and entertainment destination by Nakheel, taking shape at the heart of Palm Jumeirah. With construction currently underway, Nakheel Mall will have 350 shops, restaurants, and leisure attractions across five floors, and three underground parking levels with 4,000 spaces. Features include two fountains, two waterfalls plunging 65ft into the mall, and a fine dining roof plaza. The mall will also be the access point for the 240m ascent to the public viewing deck at The Palm Tower, Nakheels 52-storey hotel and residential building  currently under construction. The Palm Tower comprises a 289-room St Regis hotel and 432 luxury apartments, with an infinity pool on the 50th floor. Above that is a 51st storey restaurant complex, with the rooftop viewing deck on the 52nd level. 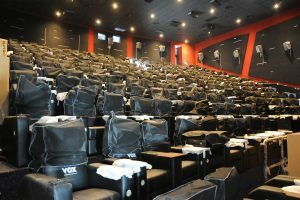 Occupying a two-storey and 5,578sqm area at Nakheel Mall, VOX Cinemas will feature 15 theatres with a total seating of 923 plus space for 26 disabled people and provide the ultimate movie-going experience with the latest in cinema technology, the popular VOX MAX big-screen concept, and the luxury VOX GOLD experience. The Nakheel/VOX Cinemas partnership comes as more than half of the 100,000sqm of retail space at Nakheel Mall is booked by a growing number of top brand names. 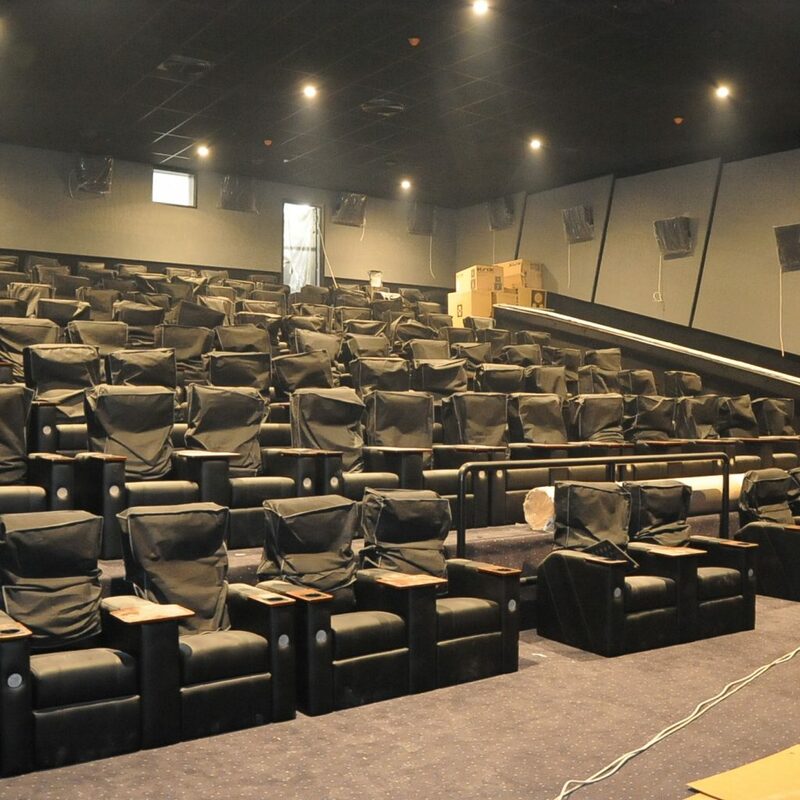 Commencing operations in August 2017, regional interior contractor and manufacturer, Havelock AHI, is currently working to take the cinematic experience to the next level. William Gorman, head of projects, Havelock AHI Interiors, comments: The project comprises 15 theatres, out of which there are 11 standard auditoria and four Theatre by Rhodes screens – the VIP section of the theatre. It will be spread over two levels; the upper level consists of the kids auditorium and the kids lounge area. On the lower floor, we have the Theatre by Rhodes section, which also has the VIP lounges and the VIP toilets. In addition to it, the lower level also has the general toilets, back-of-house areas, electrical rooms, and staff rooms. The logistical challenges for the project required a strong team effort from Havelock AHI as well as dedicated management, planning, and close co-operation with the subcontractors turned the challenges into an ongoing success. Gorman says: The entire project along with its location posed its own set of challenges, with this one being located in the heart of the construction site. Logistics was big issue during the construction schedule; we had very limited access to the site in terms of the delivery of the materials from the construction area. We had to get in mobile cranes and schedule all the deliveries at particular times in the evening. He continues: Since the entire site was not only confined to our works, we had to do a lot of co-ordination in terms of the methodologies and the people as well. We conducted weekly logistics and health and safety (HSE) meetings, and the project itself was adjusted from time to time according to what was happening throughout the course. There have been a lot of time restrictions because we had to factor in the heavy vehicles coming in with materials during the entire course of the day. Gorman remarks that being a responsible contractor, they were quite cautious about the HSE quotient of the VOX Cinemas project. We always keep a check for all the activities we do and prepare the risk assessment reports. They are reviewed, and outputs are given so that it helps everyone to be aware of the activities undertaken in that particular environment. We have a fulltime HSE officer onsite and is responsible for implementing all the regulations for the activities onsite. In addition, the construction team itself has its own set of HSE officers. Everybody is involved; we hold regular meetings and also engage with the main contractor on a weekly basis just to incorporate health and safety on a broader scale within the project. Steel structure for the cinema stadia and plant rooms. Acoustic ceiling and wall for cinemas. Standard decorative gypsum partition and ceiling. Flooring and wall cladding of marble, ceramic, carpet, vinyl, and terrazzo. Decorative glass and metal works for common areas, lounge, and staircase. Joinery works, furniture, acoustics, and fire rated doors. Coordination with client direct contractors for cinema wall fabrics, carpets, seat, speakers, screens, projectors, elevator, and escalator.